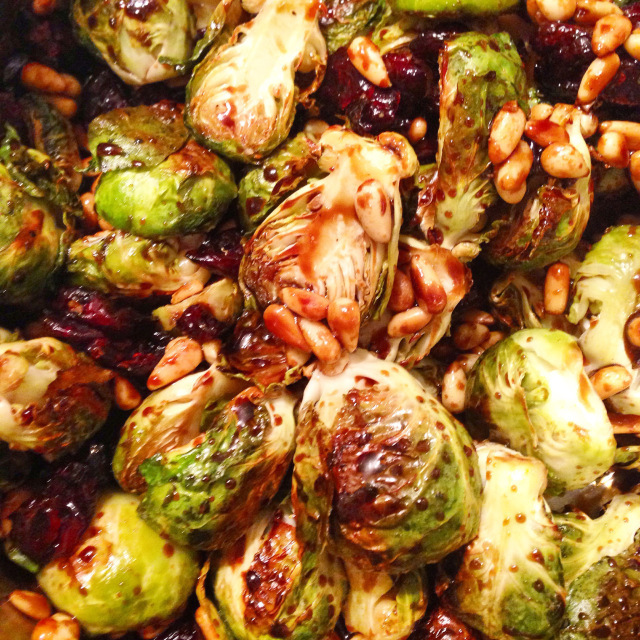 These sweet, savory, and sticky poppers will be devoured by both vegetarians and meat-eaters. The balsamic vinegar reduced and got sticky and sweet and syrupy in the oven, with just a hint of garlic and rosemary. Preheat your oven to 450 degrees and line a baking sheet with foil. 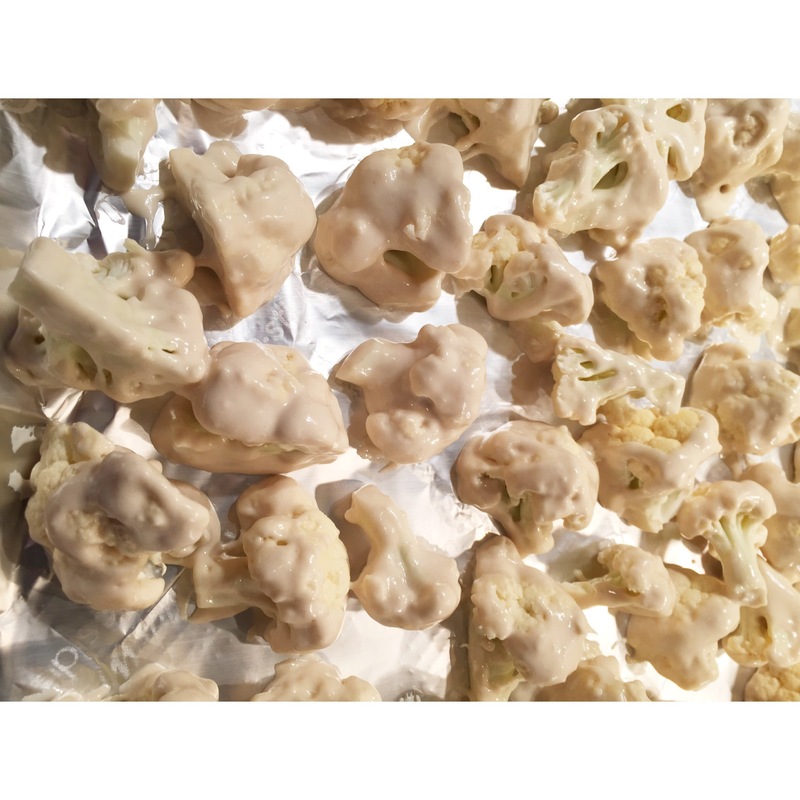 Cut the cauliflower into bite size florets. 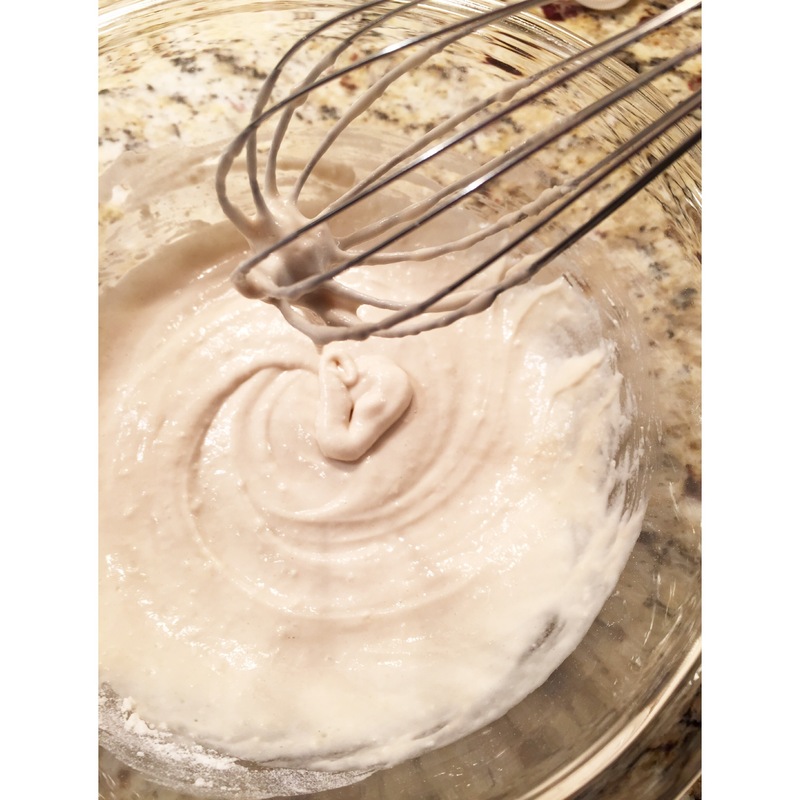 Whisk the flour and milk together. 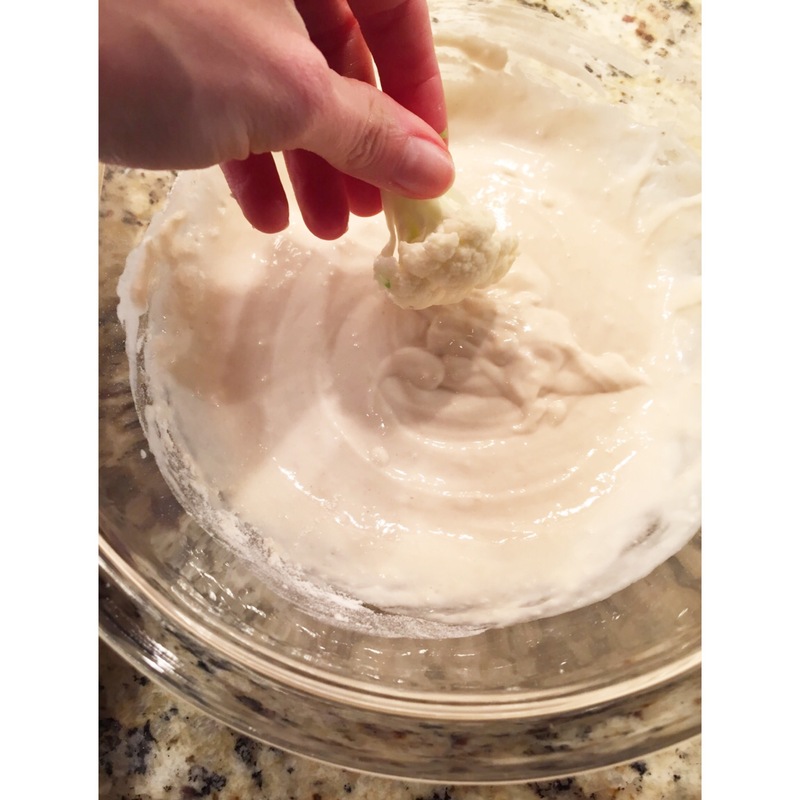 Toss the florets in the batter to coat. 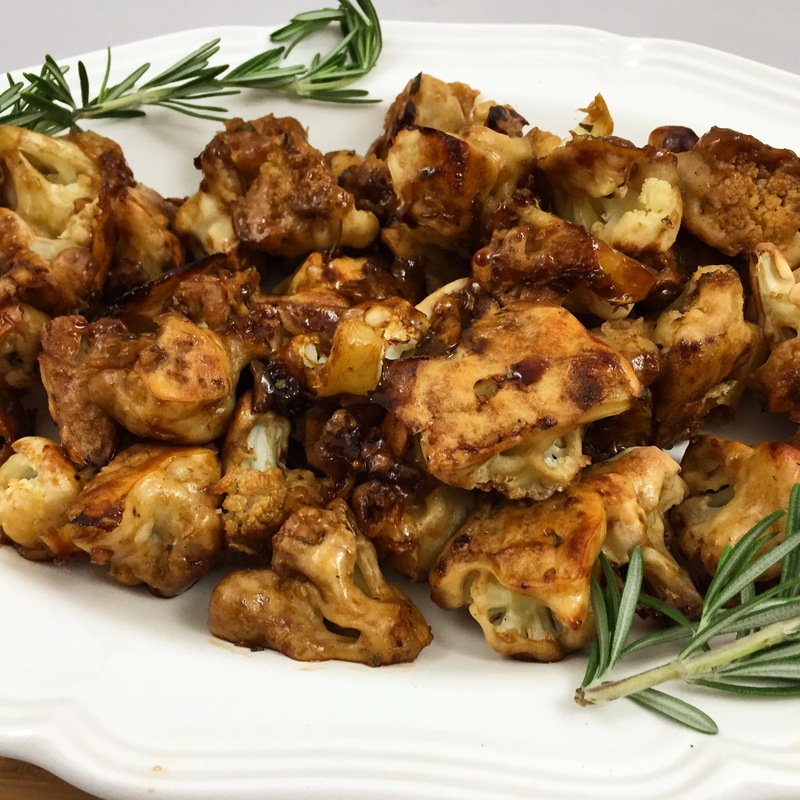 Place the cauliflower onto the baking sheet in a single layer and bake for 15-20 minutes. While it’s baking prepare the glaze. 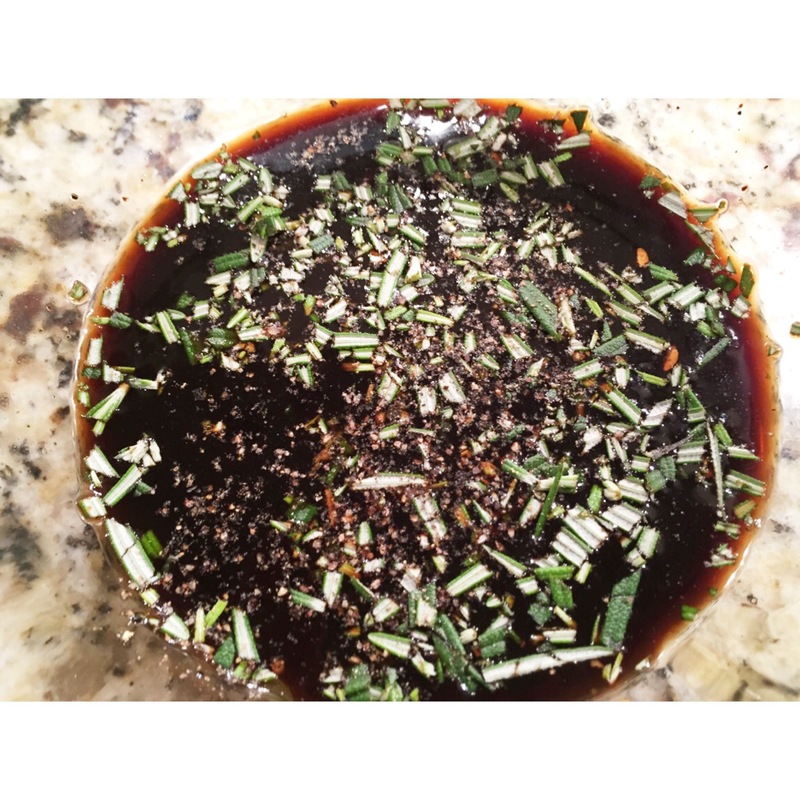 Combine the balsamic vinegar, soy sauce, honey, garlic, rosemary, salt, and pepper. 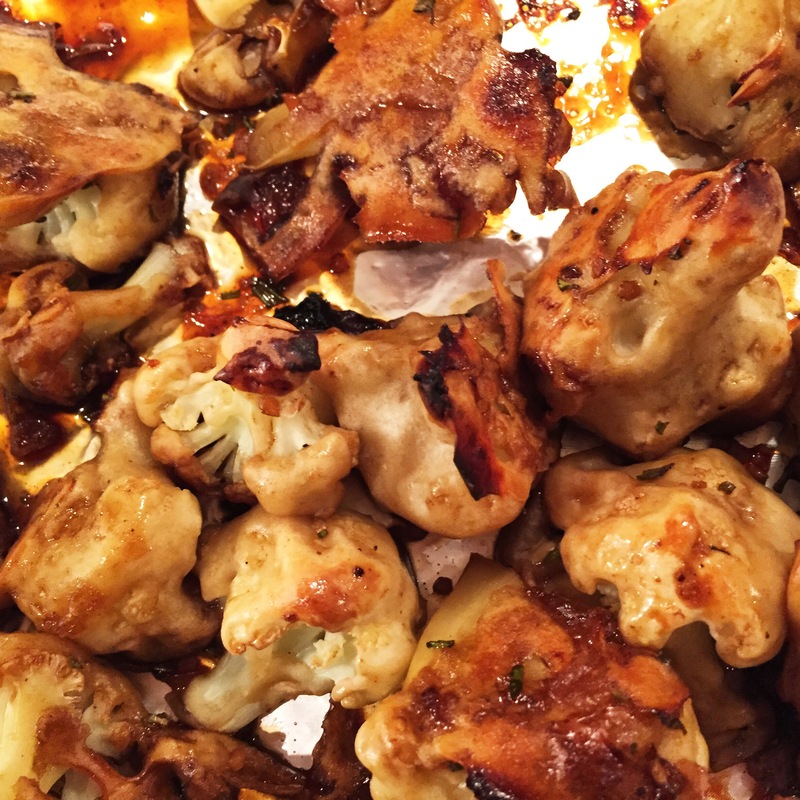 Remove the cauliflower from the oven and drizzle the glaze over the cauliflower. Bake for 5 minutes. 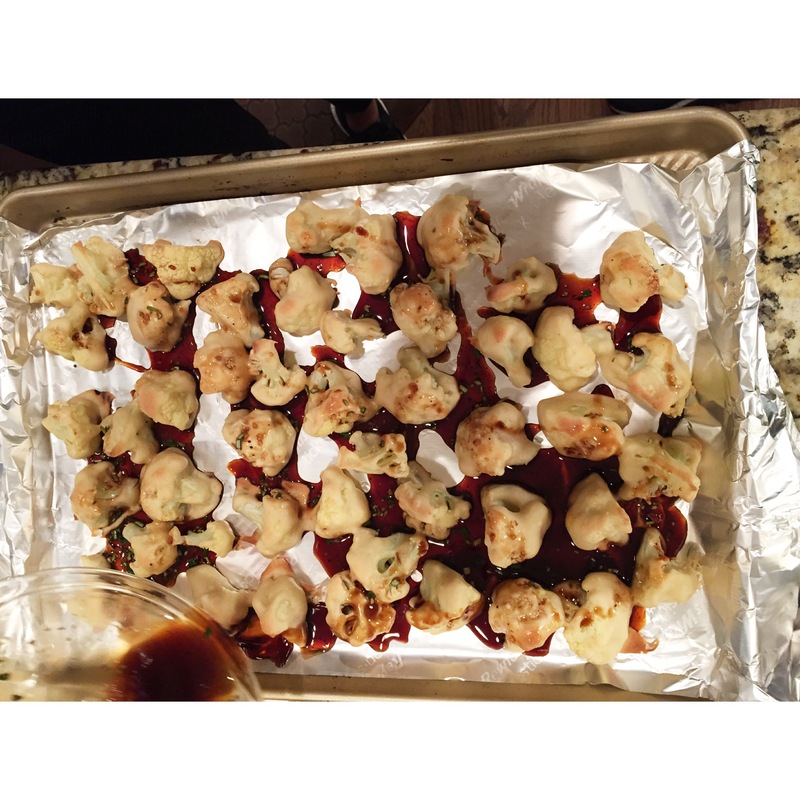 Remove from oven and gently toss and flip the cauliflower making sure to coat with the glaze. Bake for an additional 5 minutes. These look wonderful! I need to pin. Okay, you may have outdone yourself with this one, Jen; this is such an amazing idea! I can’t wait to try this one out – woo hoo!! Thank you for sharing this! 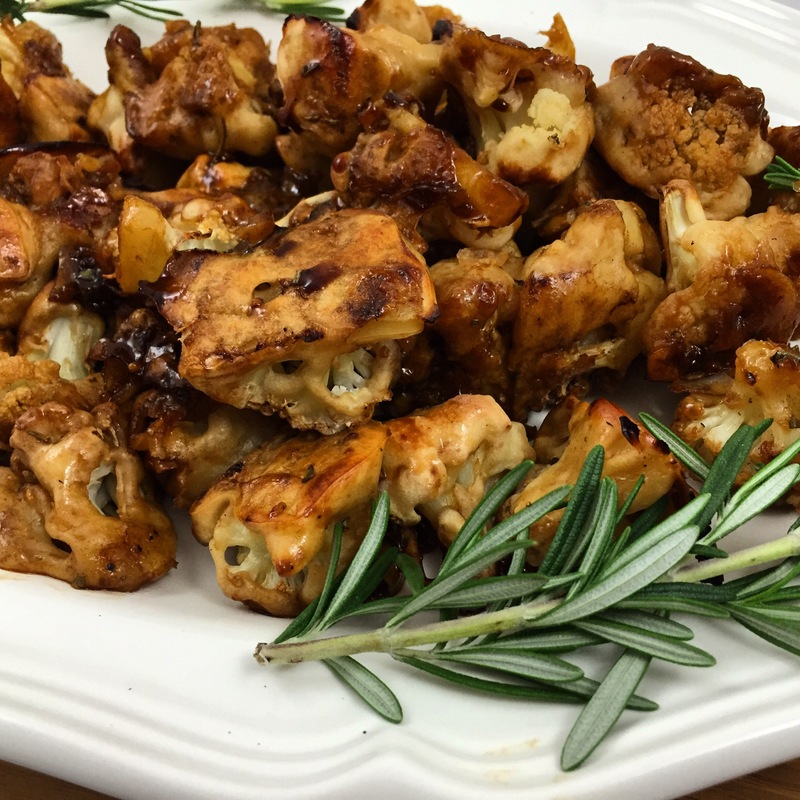 you have so many creative cauliflower recipes! i need to go buy me one big hunk of it and cook something up. question — do you do anything with the stem, or just throw it away? I’m sure I’m missing some great opportunity but I just throw it away! 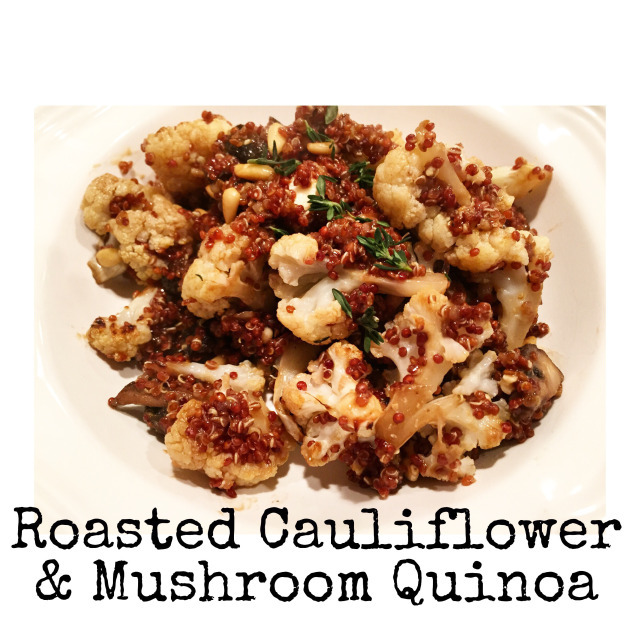 i love cauliflower anything, totally all over this. the glaze looks amazing! 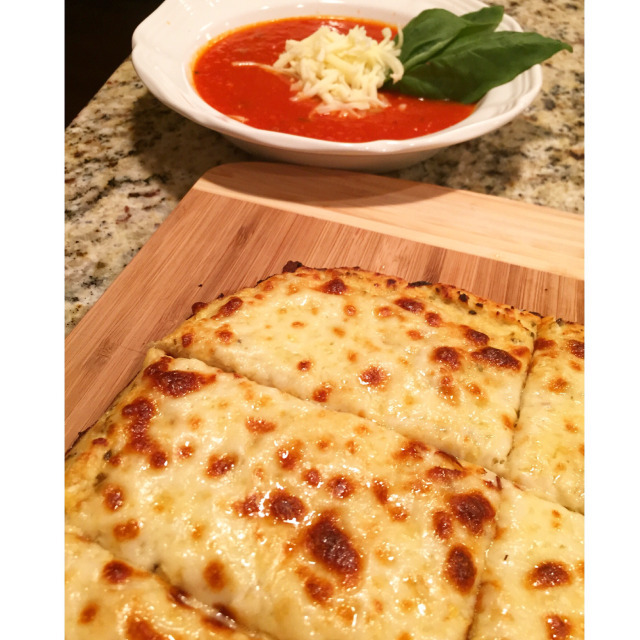 can you believe my second date with my husband was us making cauliflower pizza???? that’s how much i love it lol. he’s not as enthusiastic as i am about it, but maybe your recipe will him over thanks! Made these tonight – fantastic recipe, although the flour-almond milk mixture was more paste-like than batter-like, so I had to add some extra almond milk to thin it down. Even my husband thought these were delicious!